Discover how plants can help your health, wealth and happiness! 1. Your body’s metabolism consists of two pathways; anabolism, in which you build muscle; and catabolism; in which you burn fat. You cannot do both at the same time. 2. Therefore, you need to alternate between normal-carb days (which promote anabolism) and limited-carb days (which promote catabolism). 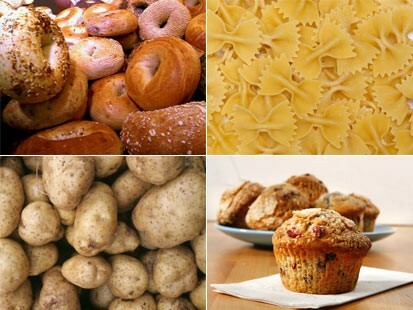 Keep in mind that when we talk about limiting carbs, we’re talking primarily about refined (bad) carbs. 3. However, when you consume carbs on your normal-carb days, you also open the door to fat deposition, which usually takes place within the first few minutes of eating refined carbs. Giving up carbs is soooooooooo hard! I love them all!